As the internet is now a vital way of keeping in touch and maintaining your business, having a fast connection is a must for coworking spaces. High speed internet is crucial to most businesses, with unreliable or slow connections likely to cost companies both time and money. Our business centres are already well-equipped with superfast broadband to benefit our customers. Now those looking to work more flexibly can also benefit from fast and reliable wireless broadband at our co-working space. 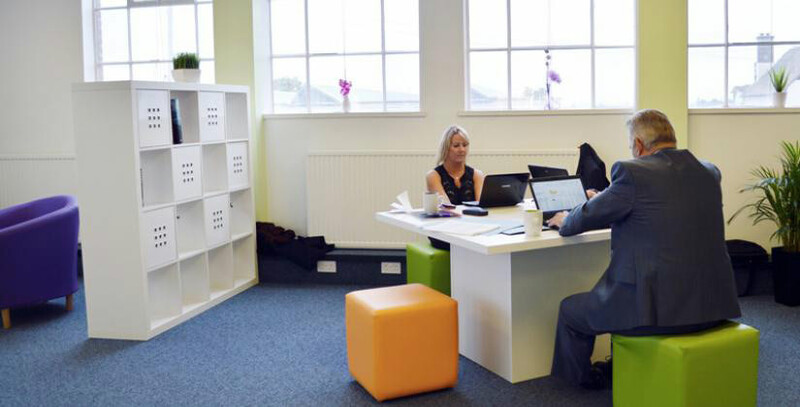 The Work Lounge in Letchworth is our first co-working space and Work Lounges in Manchester and Brixton will follow soon. We hope to create a whole network of places where freelancers and home workers can work in a flexibly on a pay-as-you-use basis. Free wifi is just one of the benefits of using The Work Lounge instead of heading to a café or public place to work. While many coffee shops offer free wifi to attract customers, the connections are insecure and can be unreliable - plus many are also beginning to restrict access to their wifi for more than a few hours at a time. Other benefits of using The Work Lounge, which is based in Letchworth’s Pixmore Centre, include complimentary drinks and free parking. As you can rent your desk by the hour, you only need to pay for the time you use. As the internet is now a vital way of keeping in touch with clients and colleagues as well as carrying out numerous essential business tasks, making sure you have a fast and secure broadband connection should be every worker’s top priority. We have partnered with Neardesk so that everyone who uses our co-working space can get a card to access other sites on its national network of workspaces. It was important to us to pick a forward-thinking partner to collaborate with and Neardesk ticks all the boxes. It aims to get a million people working nearer their home at least one day a week to reduce the amount of time they spend travelling. Neardesk is featuring in a new advert for Vodafone’s 4G service with Neardesk CEO Tom Ball talking about the importance of being able to access fast and reliable internet services. The video even features an appearance from our own Managing Director Gareth Evans.